Sumptuous sandwiches, moreish cakes and tantalising homemade scones make for a sweet enough treat but combine this with a tall glass of fizzing bubbles and you have the ultimate afternoon tea treat. 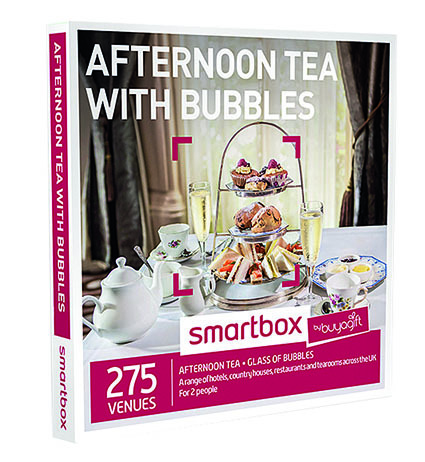 We have three Afternoon Tea with Bubbles – Smartbox packages by Buyagift to give away, worth £49.99 each (buyagift.co.uk). You and your lucky guest will be able to choose from a multitude of venues and locations across the UK to relish a taste of the high life at the Hilton, indulge in some delicious chocolatey goodness at Hotel Chocolat or enjoy a quaint and traditional experience in a countryside inn. 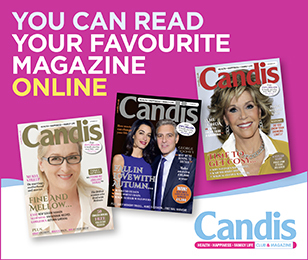 The voucher is valid for 24 months, so you’ve plenty of time to plan and enjoy. who doesnt love Afternoon Tea? And with Bubbles that is simply marvelous, so yes please!!! Time to take my husband out! He deserves a treat. This would be sooo good as my Daughter is 40 and my Daughter -in -Law is 30 this summer it would be a great treat for them both! Id do this with my eldest when he next comes home from uni! !